Who says one-tonne white vans have to be boring? 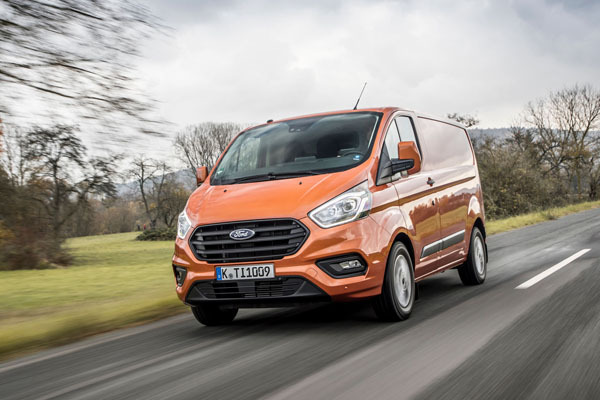 Certainly not Ford Australia which is now selling the Ford Transit Custom one-tonne vans with a surprisingly stylish body, a more car-like look and feel to the cabin, and the latest Ford EcoBlue turbo-diesel engine. New seat designs featuring revised foam padding and geometry are car-like. Trim materials have been completely upgraded, with a focus on a quality appearance. This Transit’s dash area is completely new and makes a mobile office with standard Ford SYNC 3 that uses an 8.0-inch touchscreen. It has Apple CarPlay and Android Auto compatibility i. Voice activated features make for safer driving and DAB+ radio adds quality entertainment. Stowage is impressive with three open bins on the upper surface of the dashboard and glove box stowage capable of storing hanging A4 files in the lower closed compartment. There’s now a fold-out drink holder below the gear lever, as well as drink holders and two-litre bottle holders at each end of the instrument panel. The door panels have three large stowage spaces and a practical grab handle integrated into the door trim. Safety is of increasing importance to commercial vehicle buyers, not only the company fleet managers to which OHS is paramount, but also to the private guys and gals. The Transit Custom now offers Autonomous Emergency Braking (AEM) with Pedestrian Detection as part of an optional Technology Pack. The Pack also has Blind Spot warning with rear Cross Traffic Alert, Adaptive Cruise Control, Lane Departure Warning with Driver Alert and Automatic High Beam. Reversing camera and front and rear parking sensors make parking simpler and safer. 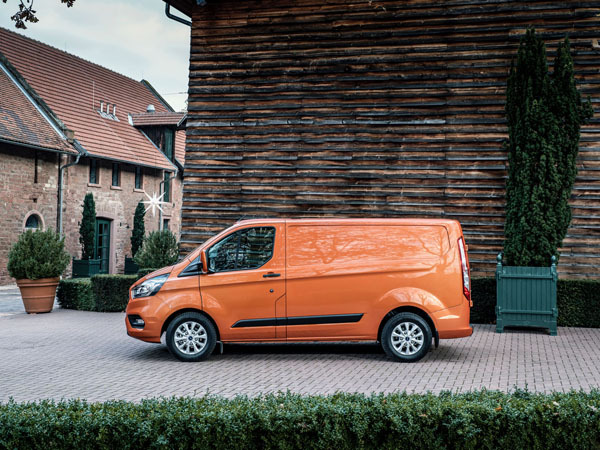 Transit Custom uses a Dynamic Stability Control system with side-wind Stabilisation and Load Adaptive Control which helps improve drivability when the van is heavily laden. 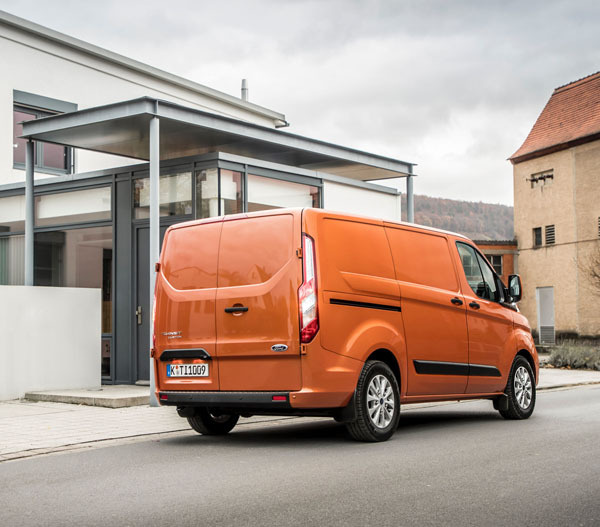 Ford Transit Custom is offered in Australia with a high roof option for the first time on both SWB and LWB variants. Factory-fitted windows are now available on both single and dual side loading door variants. Buyers will get a five-year, unlimited distance warranty across all buyer types, in Ford’s Service Price Promise, Loan Car Program, Auto Club Membership and Sat Nav MapCare updates which are available to eligible customers at participating dealers.